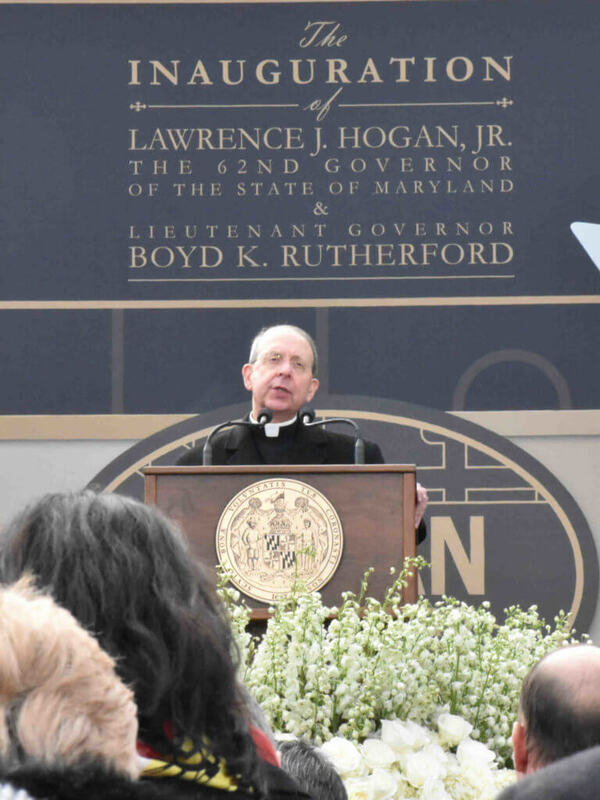 ANNAPOLIS – Delivering the invocation at Gov. Lawrence Hogan Jr.’s second gubernatorial inauguration Jan. 16, Baltimore Archbishop William E. Lori asked God to bless Gov. Hogan and Lt. Gov. Boyd Rutherford with wisdom, courage and love. “Keep them always faithful to their solemn pledge and enable them in your love to bear true allegiance to the State of Maryland and its Constitution,” the archbishop said. He prayed that Maryland’s leaders live up to their oath by seeking the common good of all Maryland’s citizens, remembering those most in need, especially the poor, the marginalized and the unemployed. Gov. Hogan, a parishioner of Holy Family in Davidsonville, is only the second Republican in Maryland history to be elected to a second term as governor. He began his day at St. Mary in Annapolis, where he attended an 8 a.m. prayer service. The service’s speakers included Archbishop Lori, along with other local religious leaders of multiple faiths. 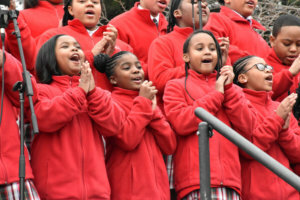 The choir from Cardinal Shehan School in Baltimore was among the pre-inaugural entertainment. Its set included the choir’s viral hit, “Rise Up,” among other songs that had those in the crowd on their feet and clapping along. Jeb Bush, former governor of Florida and 2016 candidate for the Republican nomination for president, introduced Gov. Hogan. In his inaugural address, Gov. Hogan highlighted how his approach to leadership was influenced by men such as former President George H. W. Bush, Arizona Sen. John McCain and his own father, Congressman Lawrence Hogan Sr.
“I believe it’s because we kept that promise to put problem solving ahead of partisanship, and compromise ahead of conflict, that I’m standing here today, just as humbled and eager and awed as I was at the start of my first term,” Gov. Hogan said. The governor, who in his youth attended DeMatha Catholic School in Hyattsville for two years before transferring to a Catholic school in Florida, alluded to the divisive state of national politics. “Let’s repudiate the debilitating politics practiced elsewhere — including just down the road in Washington — where insults substitute for debate, recriminations for negotiation and gridlock for compromise; where the heat, finger-pointing and rancor suffocates the light, and the only result is divisiveness and dysfunction,” the governor said. 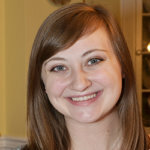 Jennifer Briemann, executive director of the Maryland Catholic Conference, the public-policy advocacy arm of Maryland’s Catholic bishops, said the next four years will have no shortage of difficult issues for Gov. Hogan to address. Briemann cited Gov. Hogan’s support of Catholic schools, especially through the BOOST program, which provides scholarships for students, allowing them to attend non-public schools.